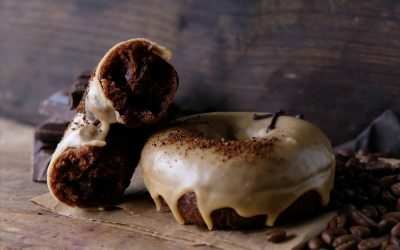 This month, Crosstown launches The Single Series: A collaborative project using select ingredients in partnership with likeminded producers to create a range of unique premium doughnut flavours. The Single Series will initially focus on three ingredients – single origin coffee, single malt whisky and single origin chocolate – all of which will be made in the UK. The Single Series kicks off with London’s top restaurant, bar and roaster, Caravan, this November. Caravan Coffee Roasters will provide its Single Origin Nicaraguan Bosque bean to create the ultimate coffee and doughnut combination. 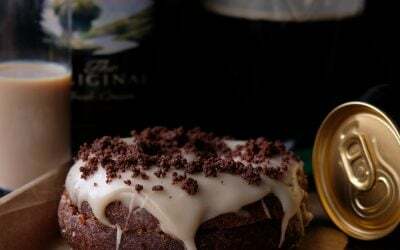 The end result is a sourdough coffee doughnut featuring the Caravan Coffee Roasters’ Bosque bean three ways: a coffee custard filling topped with a coffee glaze and finished with a dusting of finely ground beans. For both Crosstown and Caravan, the inventive flavours on their ever-evolving menus reflect the very best ingredients available each season. Crosstown uses high quality seasonal ingredients from around the world, sourcing locally when possible, to hand-craft fresh doughnuts. All jams, compotes, glazes, fillings and toppings are made in-house by a team of artisan bakers and pastry chefs. Caravan Coffee Roasters’ source green coffee from single farms and estates, roasting small batches of beans daily at their Kings Cross roastery, and are constantly developing their seasonal single origin offers in line with the best crops from each season. The Crosstown x Caravan Coffee Doughnut will be available exclusively at Crosstown’s Soho Doughnut and Coffee Bar and at both Caravan’s Exmouth Market and King’s Cross locations from 9th November until the end of December 2015.